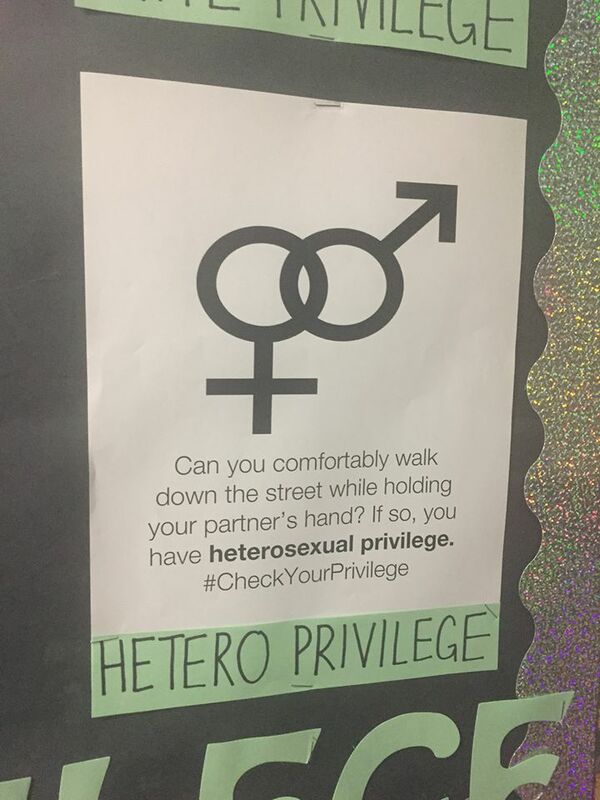 Images of the posters, which were obtained exclusively by Young America’s Foundation, show a bulletin board located on the first floor of the dormitory includes six posters, each of which attempts to explain the privilege allegedly enjoyed by a different demographic. “Do you expect time off from work to celebrate your religious holidays? 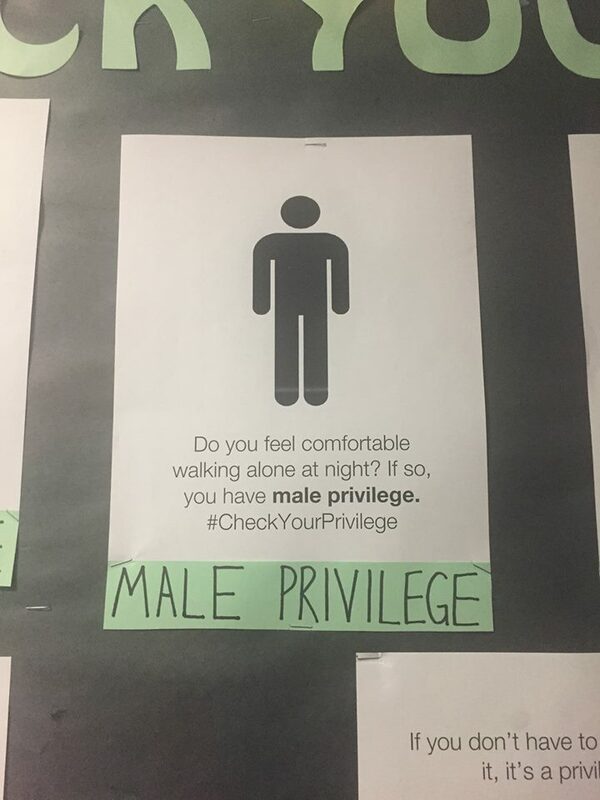 If so, you have Christian privilege. 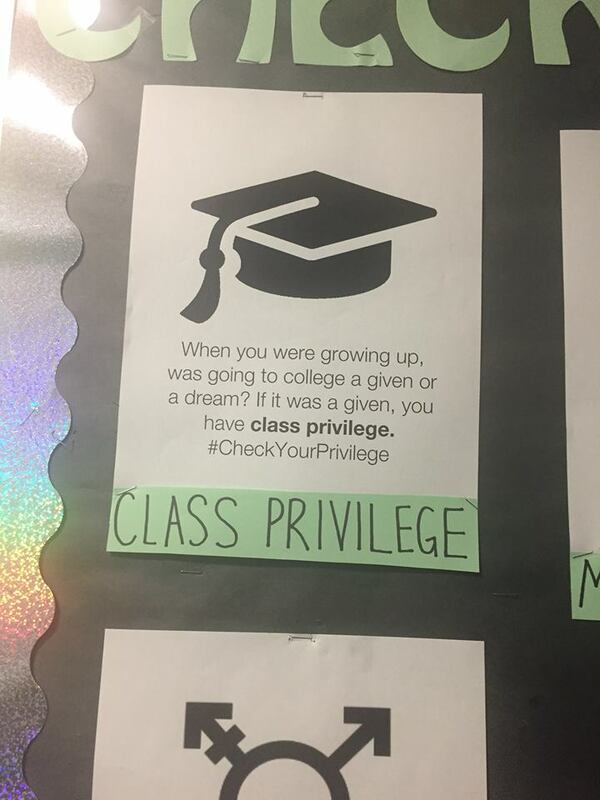 #CheckYourPrivilege,” claims another. You can view every poster below. 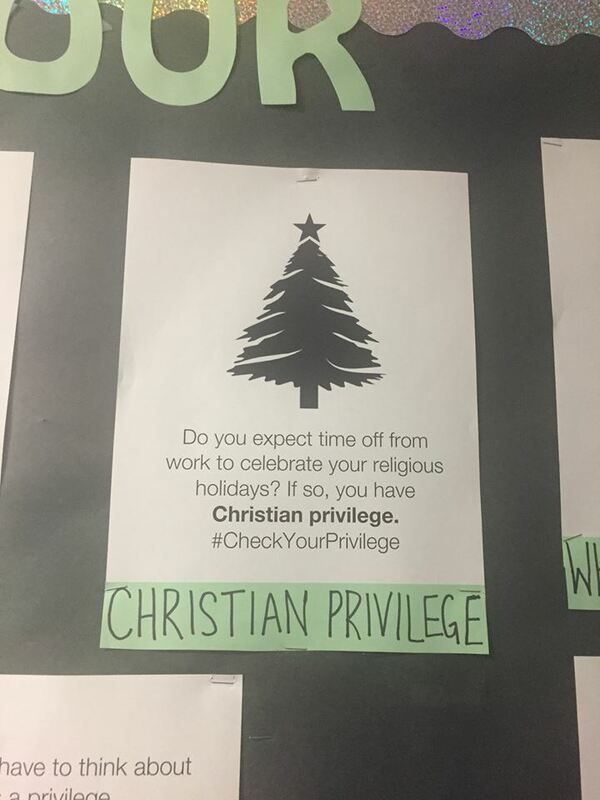 These posters imply, among other things, that non-white Americans should not be confident the police will protect them, that Christians are the only religious group who should expect time off for religious holidays, and that all men always feel comfortable walking home alone at night. Not only are those claims unnecessarily divisive, they’re incorrect. 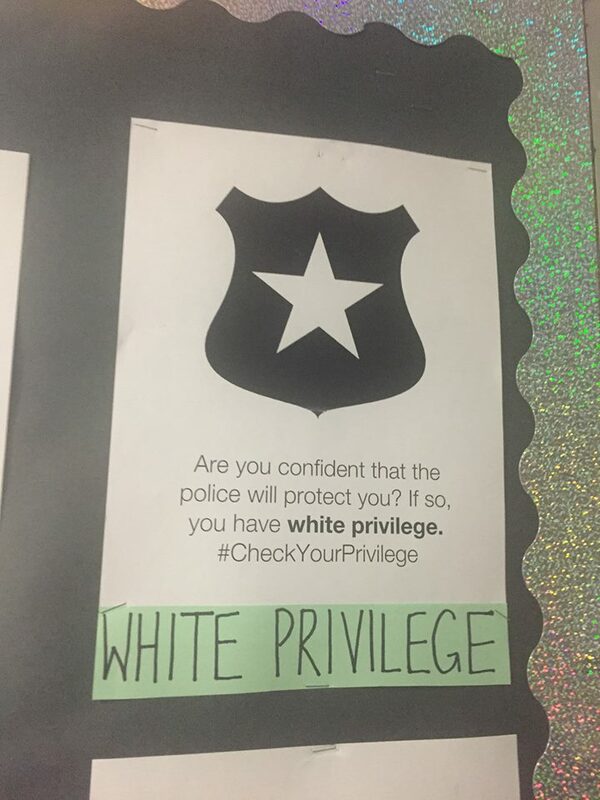 The vast majority of American police officers put their lives on the line every single day to protect citizens of all races—that poster is particularly objectionable. 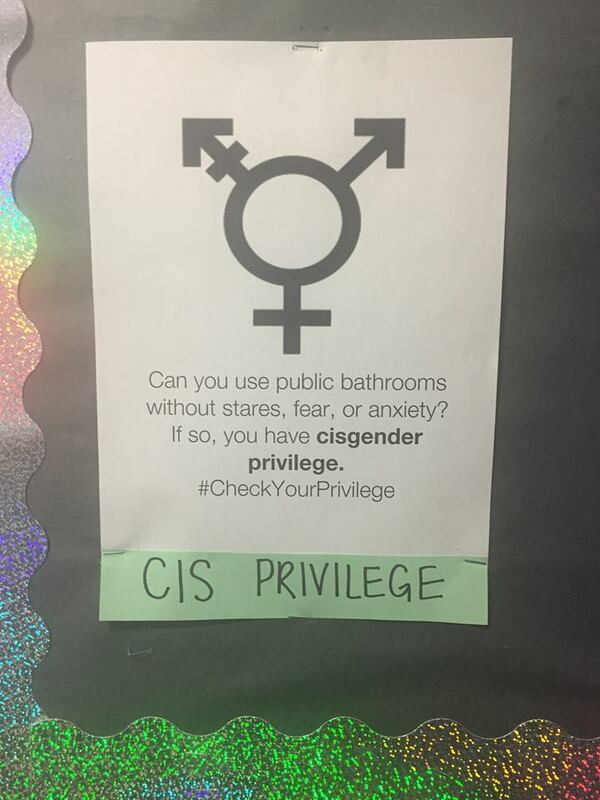 Divisive rhetoric such as this only serves to further undermine the atmosphere of “inclusivity” so many liberal campus activists claim to engender.